Whitespace is pleased to announce Sarah Emerson’s participation in Atlanta’s ELEVATE | Art Above Underground! This sixty-six day long public art exhibition features both art installations and performances from a variety of local, national, and international artists. The project is the result of a collaboration between the City of Atlanta Office of Cultural Affairs Public Art Program and Underground Atlanta, and it is meant to bring attention to both the downtown Atlanta area and the city’s art community. Emerson’s piece, “Zero Mile,” is a vinyl window installation in the heart of downtown. Named after the sign marking the city limit, the piece shows the imagined imagery of post-Civil War Atlanta. The piece is illuminated at night, but it is also visible during the day. ELEVATE officially opens Friday, August 26, 2011 at 5 PM along the Upper Alabama Street Corridor and surrounding areas in central downtown Atlanta. Make sure you see Sarah’s piece near the capitol before ELEVATE ends October 30th! For more information, visit http://elevateatlanta.blogspot.com. A view of Sarah Emerson’s mural in downtown Atlanta during the day. 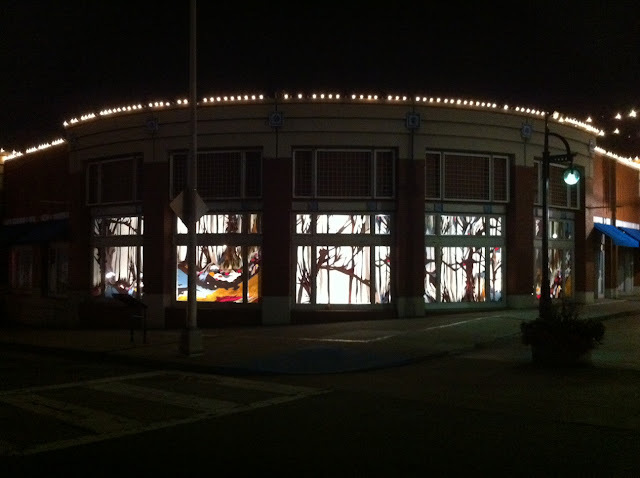 A view of Sarah Emerson’s ELEVATE | Art Above Underground piece lit up at night. 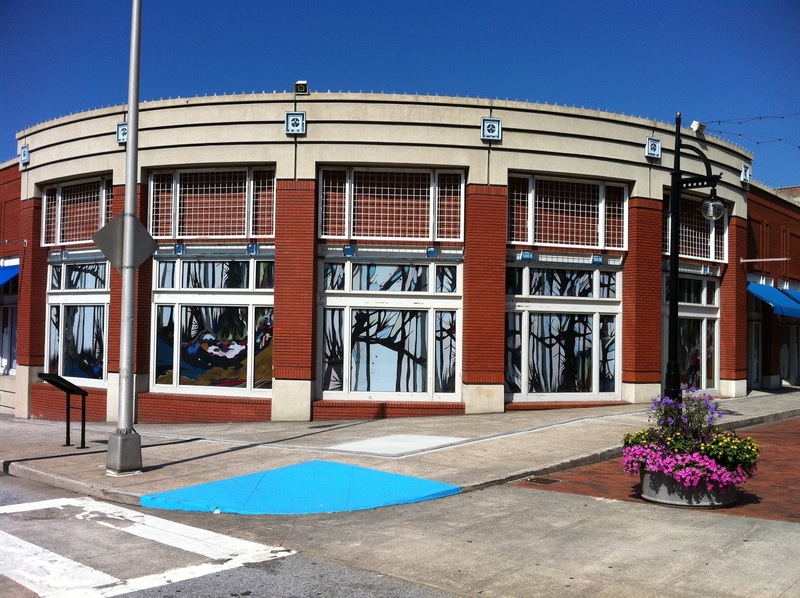 This entry was posted in Atlanta, mural, public art, Sarah Emerson on August 18, 2011 by Whitespace.